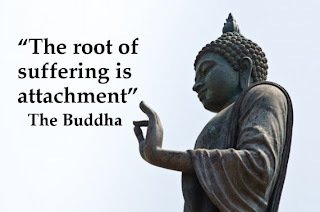 What does it mean to suffer ... this was a question posed to our meditation class this week. There were a variety of answers but our teacher Dr. P said “suffering is the difference between what is and what you think it should be”. When we hold on to perspectives that no longer serve us and fail to see a new way to reframe our lives ... we suffer. When we intersect old and new thinking ... we suffer. According to Buddhism, to live means to suffer because our nature is not perfect and neither is the world we live in. Life in its totality is imperfect and incomplete because our world is subject to impermanence. And the origin or suffering is attachment to transient things - physical objects, ideas and perceptions ... their loss is inevitable, thus we suffer. 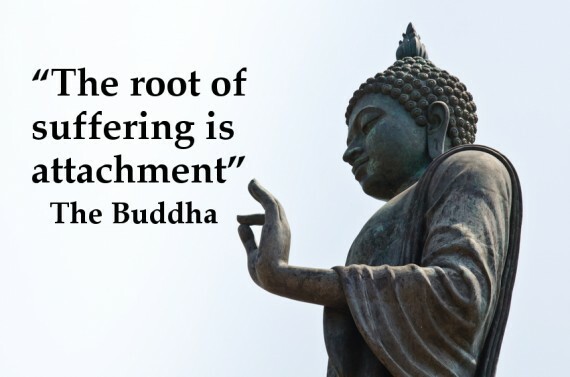 So how do we cease suffering? Rethink our assumptions and link them with our “why” way of thinking. The gradual path of self-improvement ... “can extend over many lifetimes, throughout which every individual rebirth is subject to karmic conditioning”. When we get in touch with our own purpose, we can look for ways to which our difficult experiences support this. Find a way of expressing a difficult experience so that logic or rationale can results as to why all this is happening. You can transcend your suffering and get in touch with its meaning by developing a narrative, story, or theme. This may help you see how, in the long run, this experience was a serendipitous match for you on your life’s path. Define new habits or behaviours that have come from a time of difficulty that will support and strengthen your character as you move forward. Consider your growth as a results of the challenges you face ... perhaps you are more creative, patient, compassionate and resilent. Insights may flood in as a sense of becoming a new person.